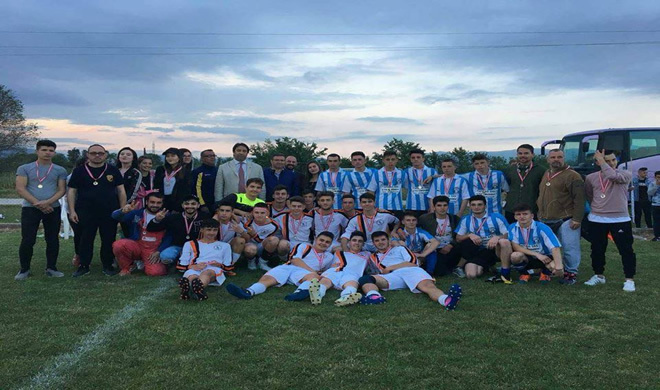 On Sunday 13th May 2018 Friendship Equality Peace (FEP) Party Vice President Ahmet Kara, attended the final match of Youth Branch’s Mini Football Tournament organized by Xanthi Turkish Union at Palaion Katramion (Karaköy). Along with FEP Party Vice president Ahmet Kara, Xanthi Turkish Union President and FEP Party General Vice President Ozan Ahmetoglu took part in the event as a host. In the final match played in Palaion Katramion, Xanthi Central Team and Miki village’s team competed in the field. The winner team Xanthi Central managed to win the cup. We congratulate firstly Xanthi Main team who won the cup and all the teams participated the tournament.